In his latest talk, Hank Smith shares a warm message of hope amidst the adversities of life. 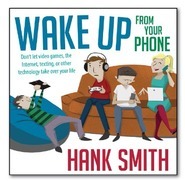 As always, Hank uses humor, teachings from the scriptures, and tender stories from his own life to make his point. He says that one of the best ways to be of good cheer when nothing seems to go right is to learn to laugh. Quoting from a study on the subject, Brother Smith says: "Laughing lowers your blood pressure, it reduces your stress hormone levels, it raises the level of infection-fighting antibodies, it lowers your blood sugar, it improves your memory, and triggers the release of endorphins. It will extend your life and make the lives of all around you more enjoyable." 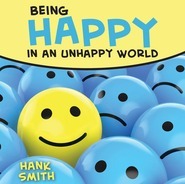 The good news is, Hank's message will make you laugh as it helps you keep the commandment to "Be of good cheer." Hank Smith teaches in the Religious Education Department at BYU and is a favorite speaker for Especially for Youth, Best of Especially for Youth, and BYU Education Week. Hank and his wife, Sara, were both born and raised in St. George, Utah. They are the parents of one daughter and two sons. Brother Smith enjoys running marathons and eating lots and lots of ice cream (which is why he runs marathons). More than anything else, he loves being at home spending all day with his wife and children. For more information visit Hank Smith's Fan Page on Facebook. Hank Smith talks are the best! He does not only invite the spirit, but he does it in a fun way! I greatly encourage you to listen to this talk!!! !